During our quick trip to London this year, we discovered one of the best restaurants and wine bars in London – Ducksoup. 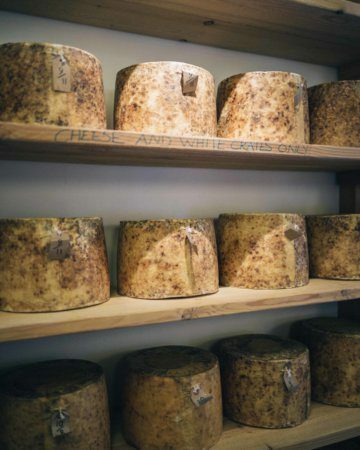 It was recommended to us on the fly by one of the cheesemongers at Neal’s Yard Dairy. You know they’ll have good taste in food and wine! 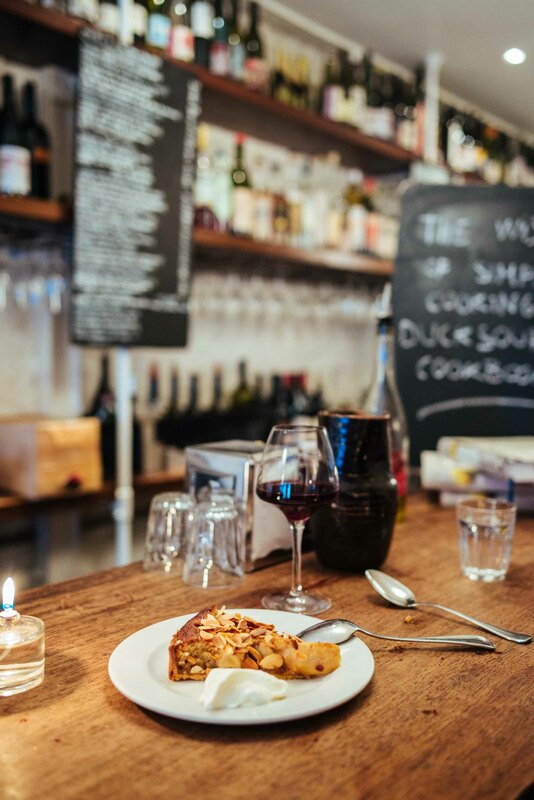 Ducksoup is a quiet little natural wine bar and restaurant located in Soho. As soon as we walked in and saw their handwritten wine list on the wall, we had a hard time deciding what to try first. After visiting so many natural wine producers in Italy, we were excited to find a wine bar dedicated to natural wines in London. They even have a cookbook you can order here. Ducksoup’s food menu is simple, seasonal, and delicious. The chef told us that the menu changes weekly and they try to keep it as simple as possible. 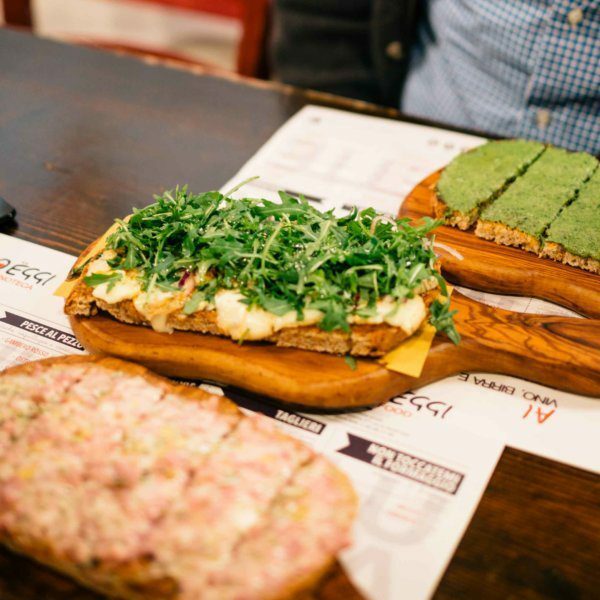 The daily specials really caught our eye – we tried the spicy pork and farro topped with arugula, but first we dug into the pork collar under oil with some slices of local crusty bread. It was so good, we were able to get the recipe from the chef (get it here). Ducksoup’s decor is cozy, with a long counter and a few small tables, with records playing music in the background. It was perfect for a rainy day in London. After trying a few of their wines, we decided to finish with a slice of the giant tart that we’d been staring at the entire time — a caramel, almond, and apple tart served with a dollop of creme fresh and coffee. 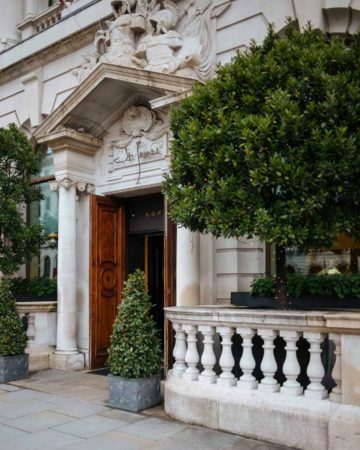 Be sure to stop into Ducksoup during your next visit to London. The owners behind it (Clare Lattin and Tom Hill) have also opened a second restaurant Rawduck in Hackney, which is focused more on fermented drinks and food. We’ll be sure to try that on our next visit! We were also excited to get their cookbook, which we promptly ordered as soon as we returned to the United States. Visit them, order the book (here), you won’t regret it!